A doorbell is no longer the dumb appliance that we knew. The smart doorbell is a new invention that will change the way we answer our doors. Unlike the dumbbell, the WiFi bell connects to your Smartphone, giving you an alert whether you are in the house, in the backyard or away from home. Instead of walking to the door just to see who’s there, you can stream a video of the footage taken by the camera on your door. If you see that it is someone you don’t want to welcome, then you don’t have to bother getting off your couch. Besides, with a smart WiFi doorbell, you don’t have to be at home to answer the door. You can speak your response to the visitor through your phone, even when you are away! Essentially, with a smart WiFi doorbell, you have the freedom to relax in or out of the house without worrying about who might be at the door. 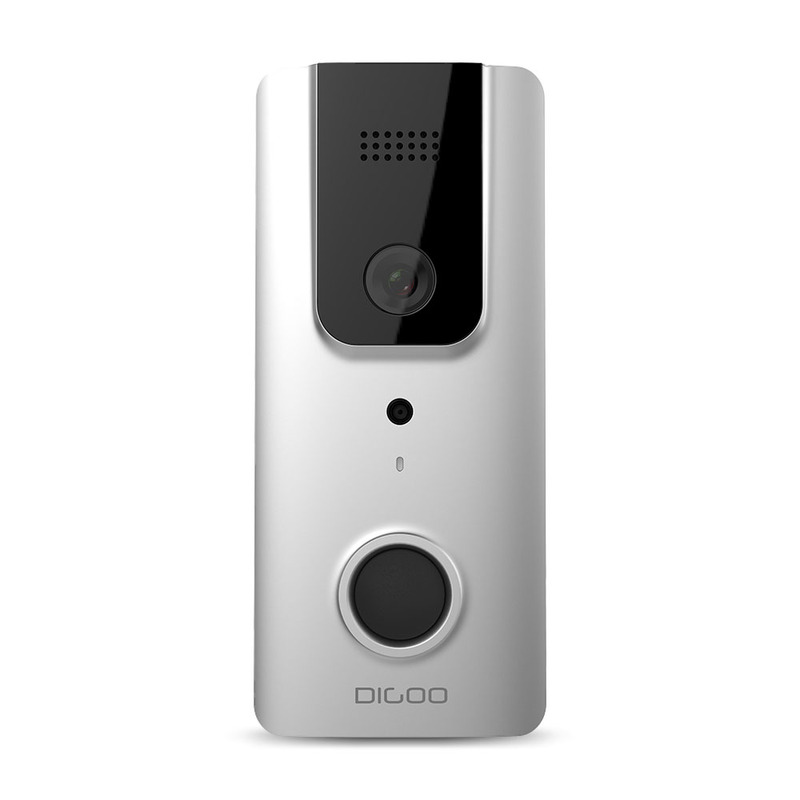 Dgioo SB XYA is one of such smart doorbell. Let’s have a review on it. The Digoo SB XYA WiFi doorbell is a second generation Smart doorbell with more improved features. 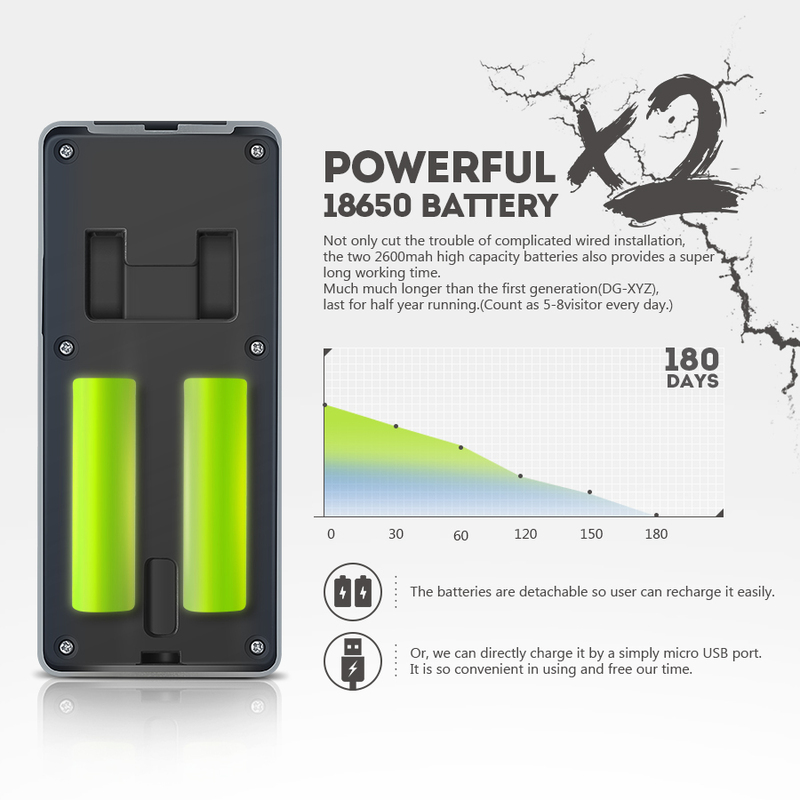 It comes with two 2600mah batteries, which can last up to half a year without recharging. The batteries also spare you the trouble of handling complicated wiring during installation, unlike other WiFi doorbells that need wiring to tap power from it. Digoo Wifi Doorbell also has a quick response time of two seconds, which helps you to answer your door immediately so that your visitor doesn’t wait too long. When you are away from home, you can still retrieve the video recordings from the HD smart camera to see whether there was any motion detected or not. 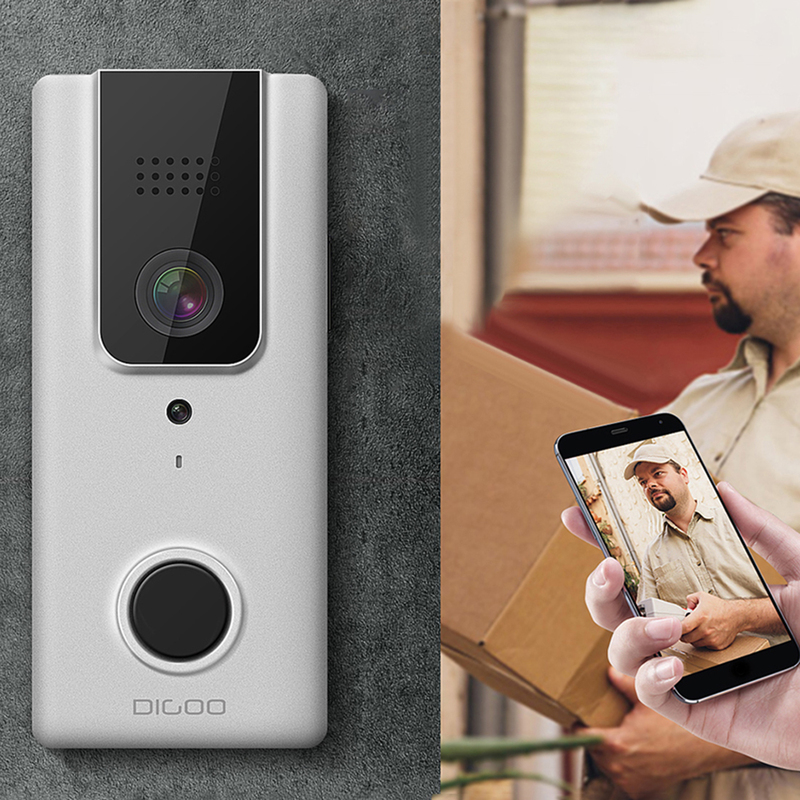 The Digoo doorbell also serves as a security camera. With the help of the camera you can get to know who comes to your door, and if someone is up to anything sneaky, you can monitor them from afar. Its infrared LED’s make it possible to record the footage even in dim lighting, like during the night. 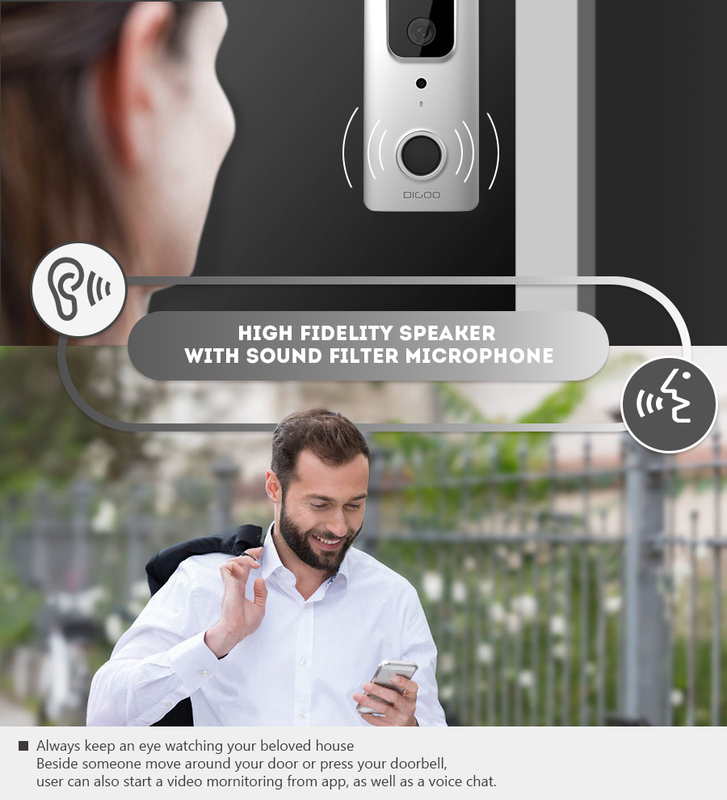 The doorbell comes with a high fidelity speaker and a sound filter microphone that enables you to communicate clearly with your visitor using a voice chat app on your phone. If you don’t wish to be bothered, you can just tell them that you are not at home. Otherwise, if you are not at home and, for example, someone was to make a delivery to your home, you can just instruct them to drop it safely at a convenient place, like in the backyard. Make your life more convenient by installing the Digoo SB XYA WiFi Doorbell today. You can buy it on Banggood or at a retail store near you. Why Should You Have BlitzWolf BW-LT10 Smart Bulb?